We assume Melania Trump wasn't giving her husband Donald Trump enough attention last night because he was busy firing off tweets on Twitter, attacking two black men, one of whom just opened a new public school for at-risk children. 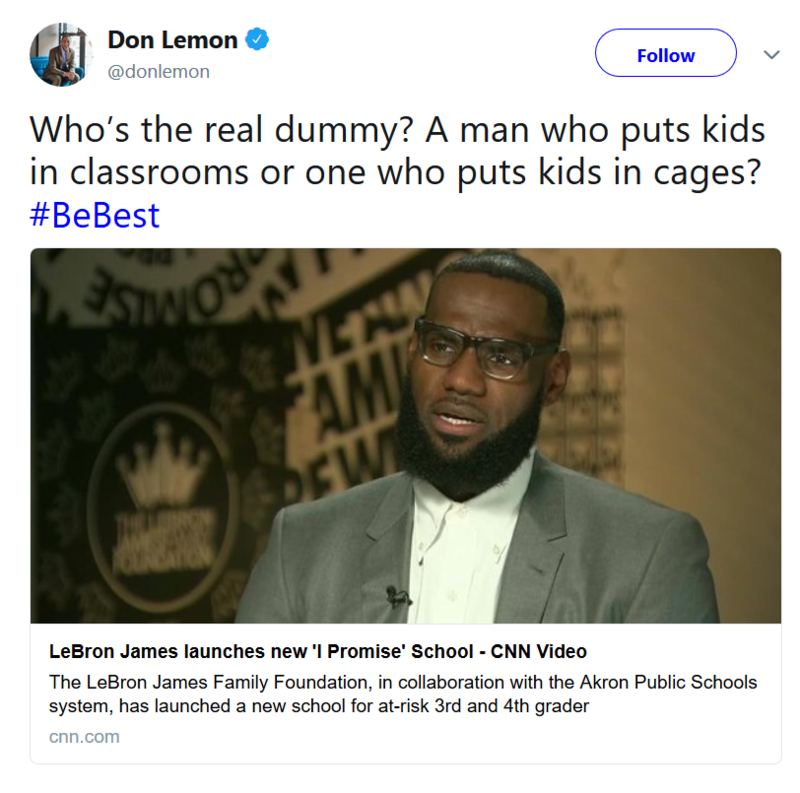 Four days after LeBron's CNN interview with Don Lemon aired, 45 decided to issue a response in a late night tweet Friday night. He called Don the "dumbest man on television" and that the interview made the Los Angeles Laker baller "look smart." The "I Like Mike" comment seem to be a reference to the debate on who's the greatest NBA star of all time, Michael Jordan vs. LeBron James. This sounds like a angry child on the school yard. Is he mad LeBron called him out on his ish?! The thing is, no lies were told when the four-time NBA MVP spoke about his antics. 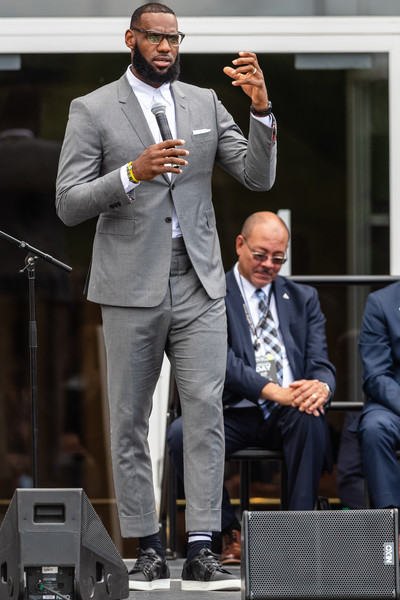 Earlier this week, LeBron sat down with Don to talk about opening his brand new I Promise School, a public school a part of the Akron Public School system, and what it meant to him. He didn't shy away on how sports and politics have intertwined since race topics have been at the forefront of many discussions going on. “We’re in a position right now in America where this race thing is taking over," he said. "One, because I believe our president is kind of trying to divide us. What I’ve noticed over the last few months is that he’s kind of used sports to kind of divide us, and that’s something that I can’t relate to because I know that sports was the first time that I was around someone white." Ha! The #BeBest hashtag was in reference to Melania's initiative to support kindness and respect. The irony of it all.